I took advantage of the good half hour wait to decide what to pick out of charcoal, ube, matcha and vanilla bean. Finally I have settled with charcoal and ube and I was actually glad to have that wait time to decide! 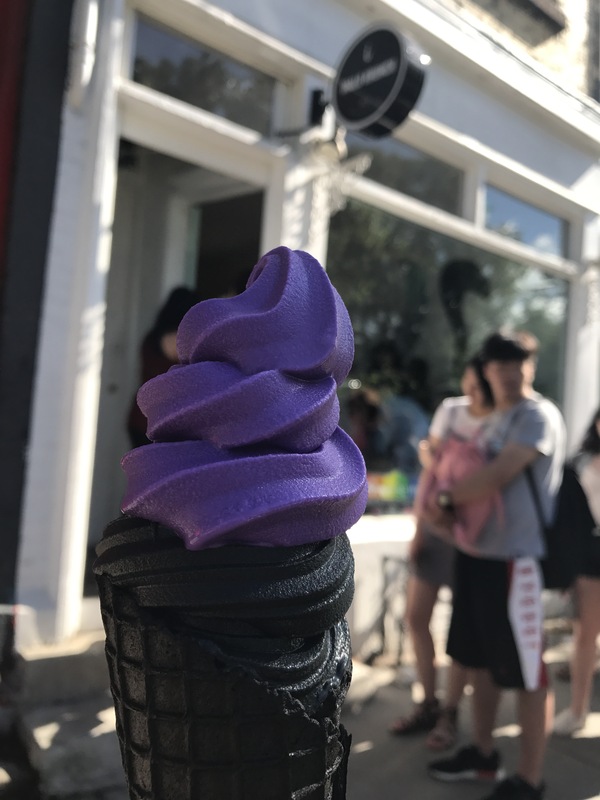 Initially I thought of having a purple and black twist but as I was waiting in line, I noticed that you can actually get any flavours in any combination at the same price! 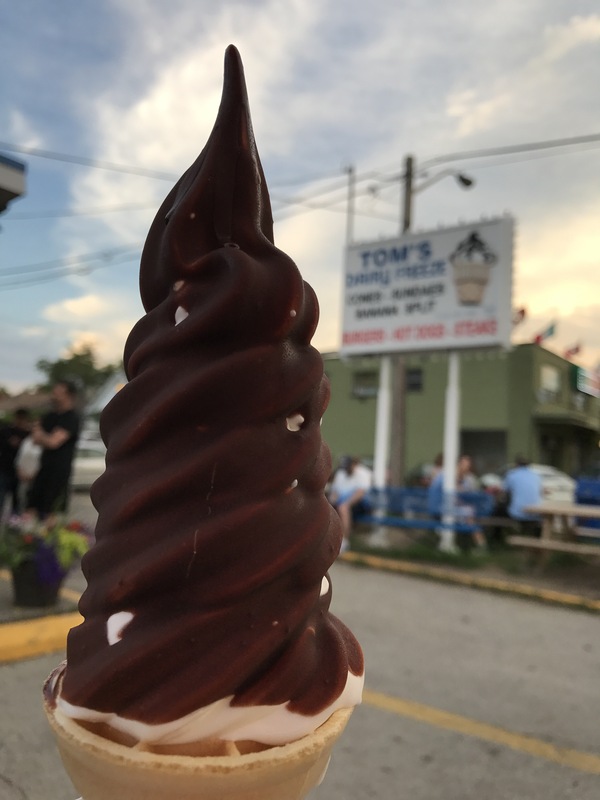 So to be able to try the two flavours I wanted precisely, I went for charcoal to the bottom and ube on the top, tax included was $6.50. Ube was actually lighter than I thought, the ones I bought from the supermarket actually had a stronger ube taste, while charcoal surprised me with a hidden coconut scent. This is pretty neat food product with a hip and fashionable design, but beware the ashes from the charcoal will stain all over your lips!